The orbiTouch Keyless Keyboard is a revolutionary solution that removes the barrier posed by the traditional keyboard/mouse combination. For some people using a keyboard and mouse is a basic everyday task. But for those with autism, physical or developmental disabilities, repetitive stress injuries, chronic arthritis, or do have had full use of hands and fingers, using a standard keyboard is not an option. As a full 128 character keyboard and mouse in one, it is an ergonomic alternative to the standard QWERTY keyboard, requiring no finger or wrist motion to operate. Domes replace keys to minimize hand and wrist exertion. Simple to learn and easy to use, orbiTouch helps individuals with hand and finger injury, carpal tunnel syndrome, cerebral palsy, multiple sclerosis, traumatic brain injury, spinal cord injury, arthritis, and autism. 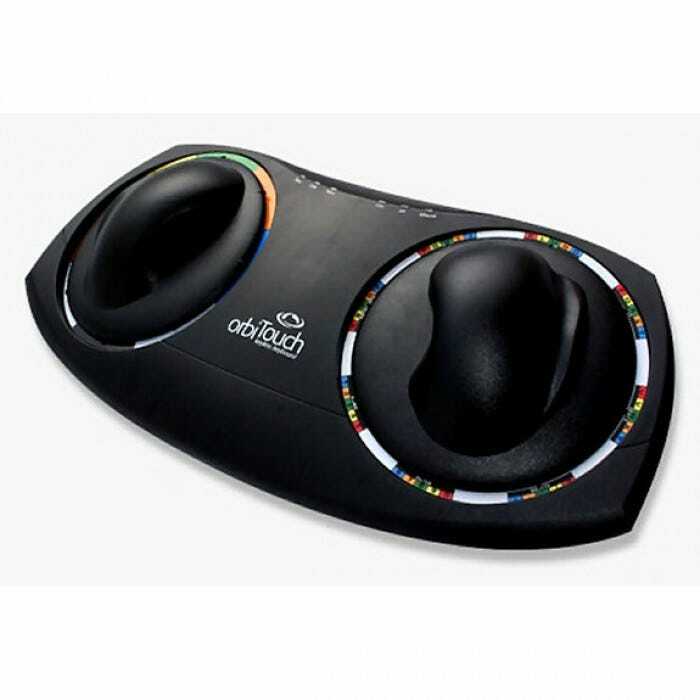 The orbiTouch creates a keystroke when you slide the two domes into one of their eight respective positions. You type the different characters by sliding the domes to create letters and numbers. The orbiTouch also has an integrated mouse, so moving the domes gives you full mouse and keyboard capability. 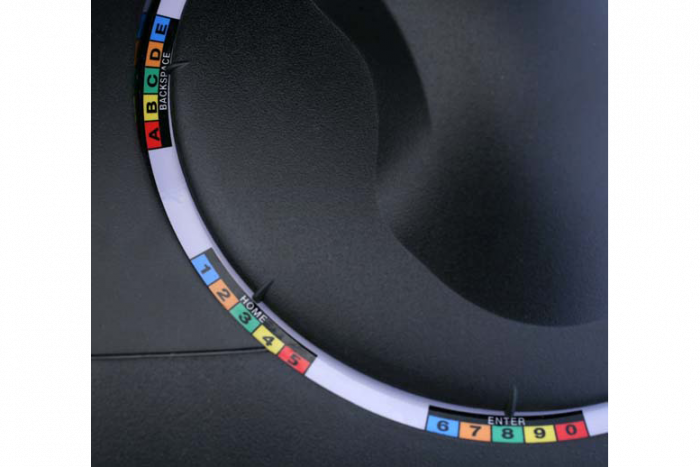 Each dome slides into one of eight zones to type a character. Either dome can slide first or move both at the same time. Slide the right dome to the zone of the character you wish to type; slide the left dome to the color of that character. Simple interface enables the user to type all alphanumeric and special keys found on a keyboard, plus provides a fully-integrated three-button mouse capability - all via two ergonomically sculpted domes. PC and Mac compatible. Includes USB adapter, character guide, and fast start kit CD. Blue Orb has a strong focus on helping to improve the lives of those with disabilities. 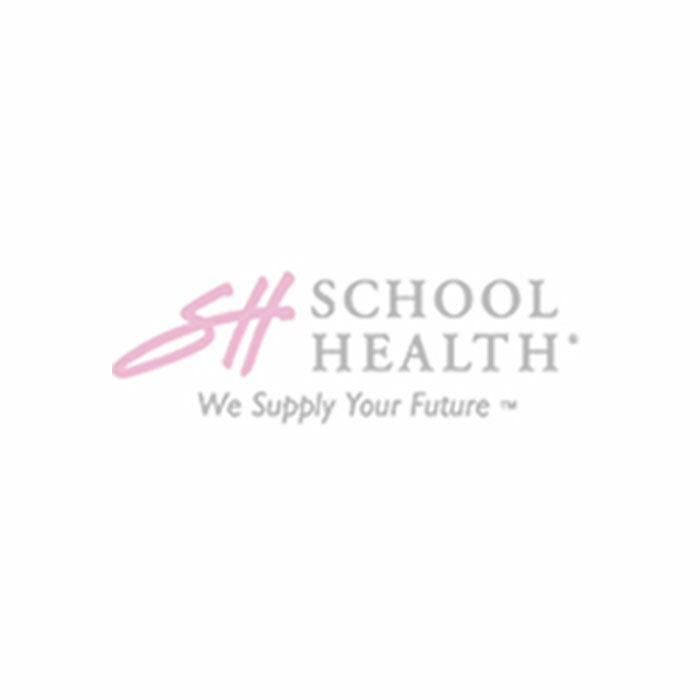 Their mission is to broaden access to technology by eliminating the barriers caused by traditional computer input technologies. Because the ability to express oneself is highly integrated into self worth, every individual should have the opportunity to be productive, connected, and most of all, independent through computer use. Everyone needs to have access to information, and orbiTouch opens up a world of new possibilities. We live in a world where online communication is not only convenient but crucial. Email and social media are the predominant way to connect with friends, family, and business contacts. The inability to participate in online communities due to injury or disability feels restrictive and potentially isolating. Whether your challenge is temporary or permanent, orbiTouch can help. 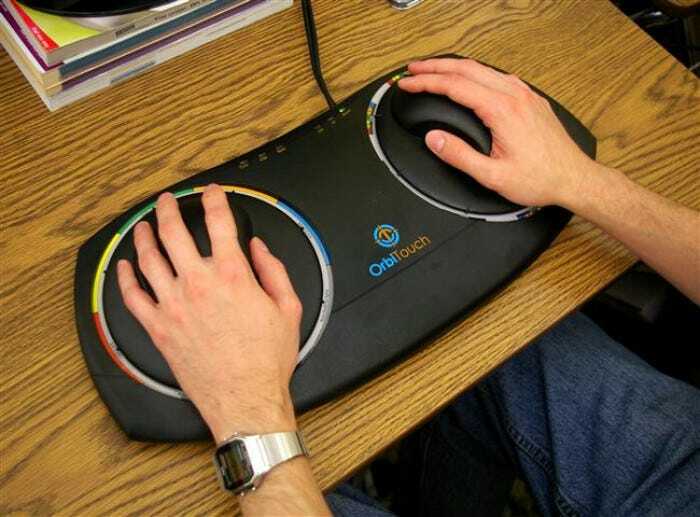 Case Study: How does orbiTouch Keyless Keyboard help individuals with Austism? Devin Spangler was diagnosed with Asperger Syndrome when he was 7 years old. When you sit down with Devin, now 13, it is evident he is an articulate and bright young man. In fact, he speaks more clearly and cogently than many adults. However, according to his mother Allie, self-expression hasn’t always been easy. Only years earlier, completing school work was a daily battle. Devin became increasingly reluctant to handwrite school assignments because his hands would fatigue quickly. Standard keyboards didn’t go over much better--their QWERTY layout seemingly had no order, something individuals with Autism Spectrum Disorder crave.